Sage is most well known in the UK when served with a roast chicken as part of the sage and inion stuffing. However, sage does have a long history of culinary and medicinal uses. It was mentioned in John Gerrards 1597 ‘Herball’ but its reputation actually dates back to the middles ages with many sayings referring to its medicinal values. 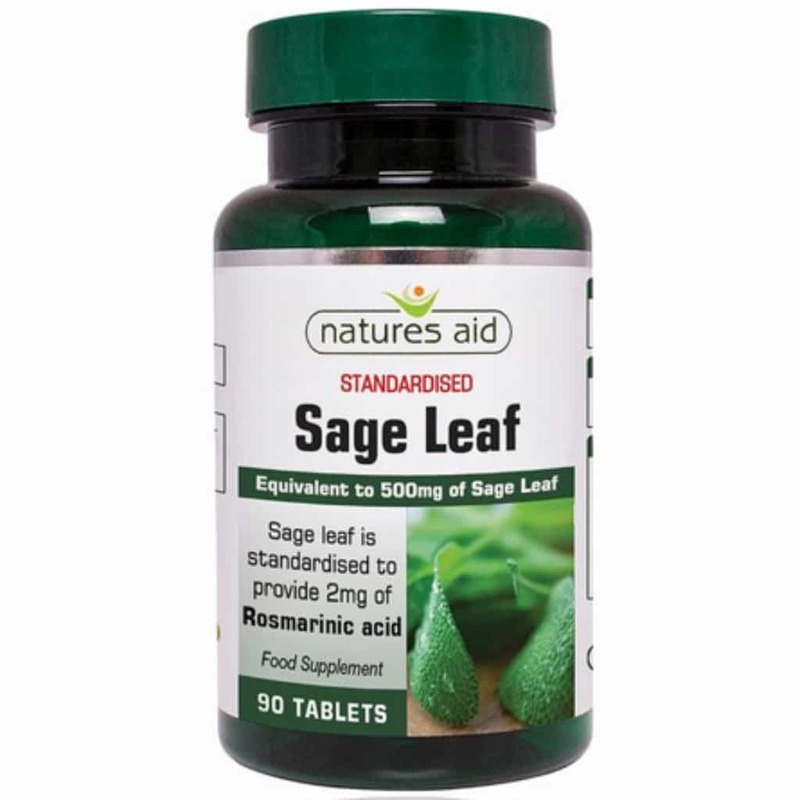 Natures Aid Sage Leaf tablet is a 50mg extract, which provides the equivalent of 500mg of dried sage leaf per tablet. Each tablet is guaranteed to provide 2mg of rosamarinic acids. All Natures Aid products are produced to GMP standards making this a high quality product that you can trust.